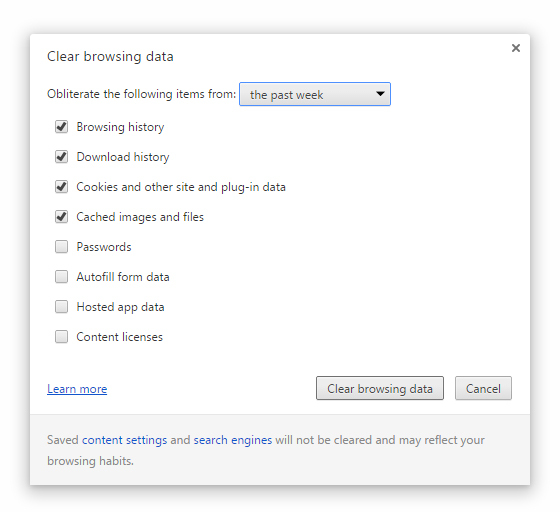 Ensure that the clear browsing history and delete cookies are ticked then press clear browsing data. We would also advise changing the drop down menu from the past hour to the past week to ensure that any old data is removed. You should now have no problems logging onto the website again.